Keeping a work environment and desk neat and tidy without having cables getting tangled and destroyed is a problem for many individuals and companies. 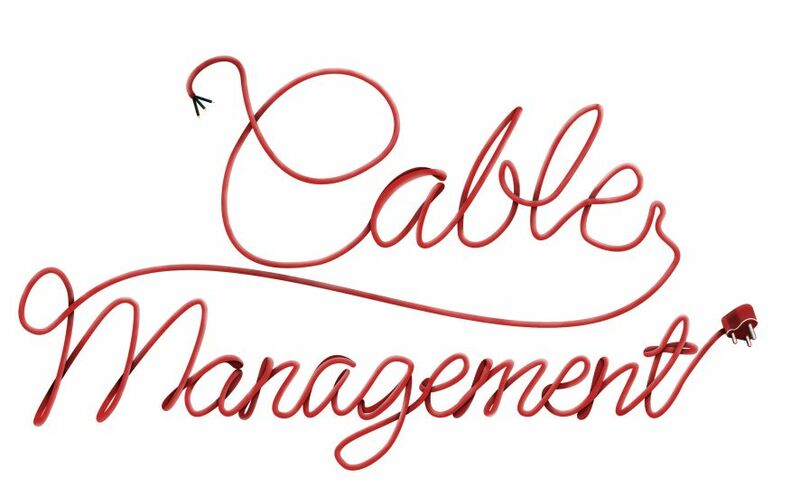 CDS has a range of simple and elegant cable management solutions to suit any environment. The Pelican is the newest product launched by CDS Plastics, it is the perfect product that allows you to customise your cabling solution. When you have many cables that need to be kept organised and out of sight the SNAIK is the answer. 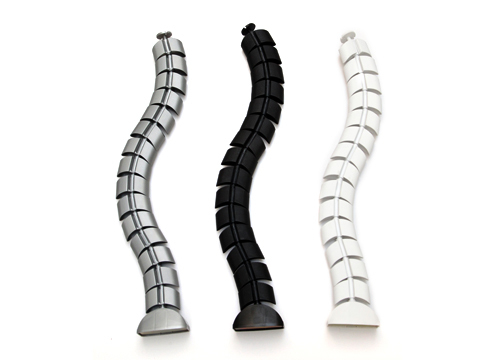 The Snaik is manufactured with durable plastic that is long lasting and light weight that can bend and shift to suit the environment it is applied. 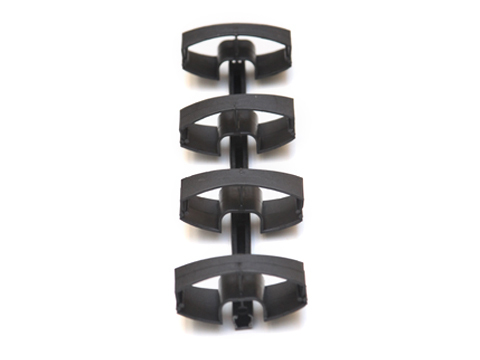 As any spines main purpose is to support the object it is connected to, CDS Plastics SPINE carries out the same functionality. The Spine range is designed to protect, support and carry the necessary cables to the end product and supply power in a safe and stylish manner. 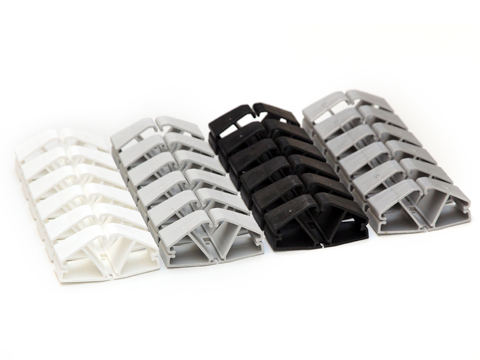 A Great Solution to a Grating Problem – Cable Mess! “Linkit” the universal cable carrier -now made here! Keep all the plugs off the ground and hidden under the desk with the Cable highway. 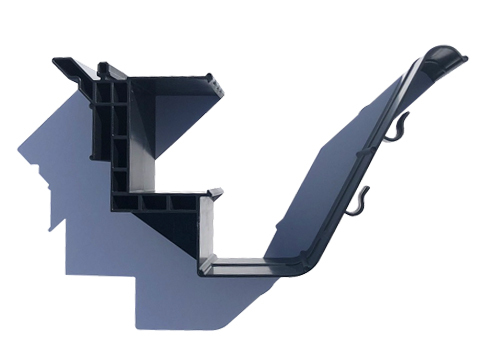 It is designed to be fitted to the underside of the desk to maximise foot and leg room without causing disruptions to any appliance above or below the desk. It’s difficult to have the most ideal electrical situation in an open plan office environment. We have created the super spring ideal for the modern sit / stand desk like our very own Rize Range of desks. 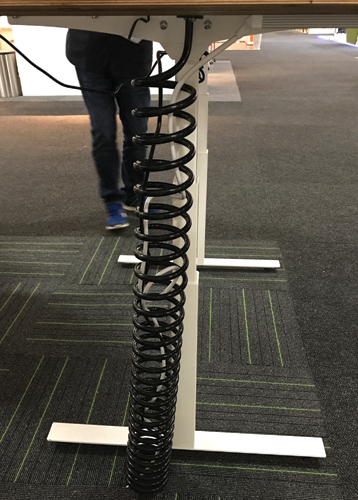 The Super Spring will contain all your electrical wires within and transport it from the desktop to the floor or from the ceiling to the desk in a modest neat manner happily adjusting in height as needed. The cable outlet is an aesthetic finish to your desk to allow appliances to be utilised on top of the desk by facilitating the cables to but pulled through, thereby eliminating damaged cables and increasing visual appeal. 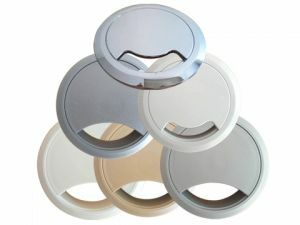 CDS Plastics offers circular and square options as well as a variety of colours and finishes to suit your personal taste. CDS Plastics are manufacturers and suppliers of Speciality components to the office furniture industry since 1995.